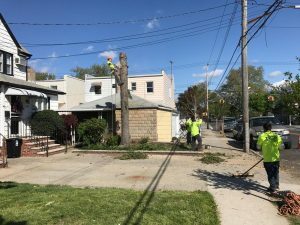 As soon as one warm day of weather hits us, Canarsie Tree Removal phone starts to ring. It is the time of year that people are most excited for. And of course, our spring special of 25% off yard-clean up has arrived. 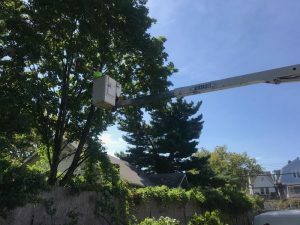 This includes any type of tree service, along with removal, trimming and planting. Also, shrubbery removal and any type of debris or fallen branches that have covered your yard. Although we did not have a winter filled with much snow it is during this time that “junk” begins to accumulate in the front or backyard areas of properties. buyers will judge a home by the way it looks on the outside, so first impressions are important. It is not a big expense to add flowers and get ride of weeds and ect to make the home look prettier upon first glance. Right now clients have enough time to plant them. Or full grown plants to plant. 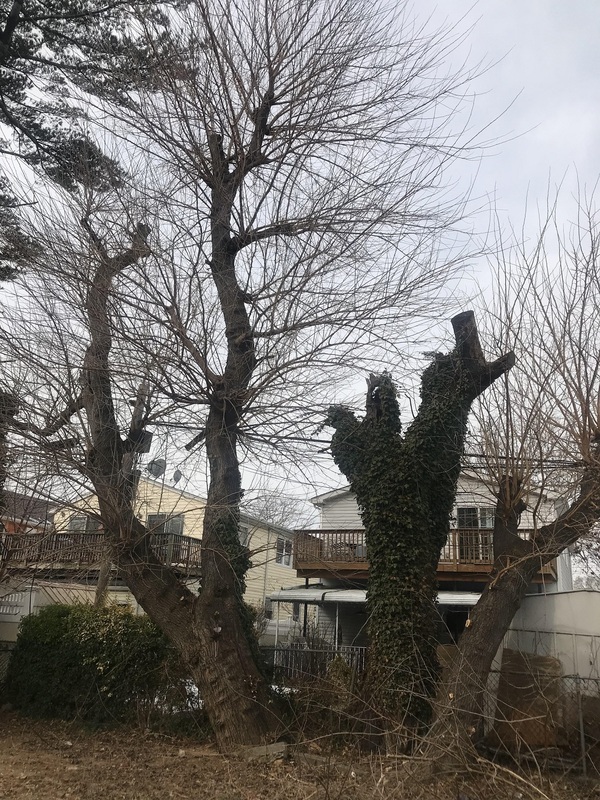 Whatever the case, Canarsie Tree Removal can help add that flair! Spring clean-up is also for those who are not selling. Rather, just getting ready to enjoy the warm weather and their outdoor spaces. Removing dead trees or weeds can make more room for clients to create a backyard with more entertainment, like a fire-pit. They can be bought or built from scratch, where directions can be found on a DIY blog. It is a fairly easy process to make an outdoor fire-pit, and it adds a certain charm to outdoor space. One that is more inviting and ready for entertaining. 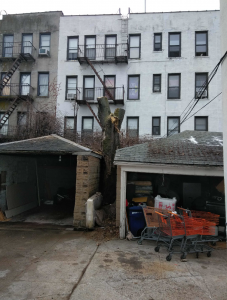 With that said, after the fire-pit is built our clients will know exactly where to purchase seasoned firewood – Canarsie Tree Removal! As the snow begins to fall most home owners start to question the idea of Winter Brooklyn Landscaping. Why would you need someone to landscape your property before the winter and snow beings to fall. Here are a few reasons why. If you have a garden that has not been properly cleaned out for the winter then next spring it will be difficult to begin getting it ready. And this we mean preparing for grass growth. Planting flowers. And even trimming the shrubs. By moving away all of the garbage, rocks, wood and dead plants now it will be easier for Spring of 2018. Right now we are offering special prices on our Winter Brooklyn Landscaping packages. Currently, we are offering 30% all jobs. Despite the cold we just got a project to lay down 11 yards of topsoil two shrubs. We are going to till up the ground before laying topsoil laying down seed and mulch. Along with mulch and seeds. We will be doing this on three different properties. We also work with a variety of property managers in the area. Next week our team will be removing roots that are against a condominium wall. Along with the trees that are overhanging the property. Laying down seeds and mulch is not the only project Tarzan Tree Removal is working on. We are also doing a variety of yard clean-ups like mentioned before. This means removing weeds and tree limbs. Cutting down small trees to ground level so it does not create a mess as the snow beings to melt. Our team is also advising homeowners to pay close attention to trees that are dead. Bending over or overhanging the house. If a snowstorm were to occur, as they do in New York, it would put weight on the trees. This could cause them to break off and fall onto your property. Trees are very strong and depending on their size they can fall right through a roof and into a home. 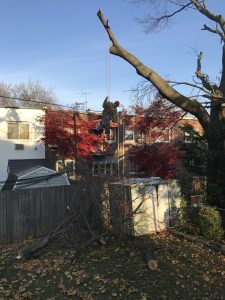 In order to avoid this type of harm and danger it is vital to call your local Brooklyn Tree Service. For any questions, please call 347-833-5862. Our team is sad to see the summer end but excited for our Brooklyn Yard Cleanup specials. For each season we run a special price for our customers to help them get out with the old and in with the new! 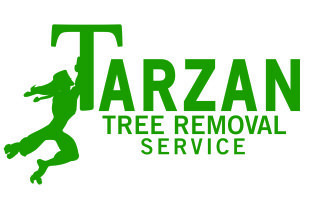 Welcome to Tarzan Tree Removal and our season special pricing. This year our Brooklyn Yard Cleanup special will be 20% off the entire project. 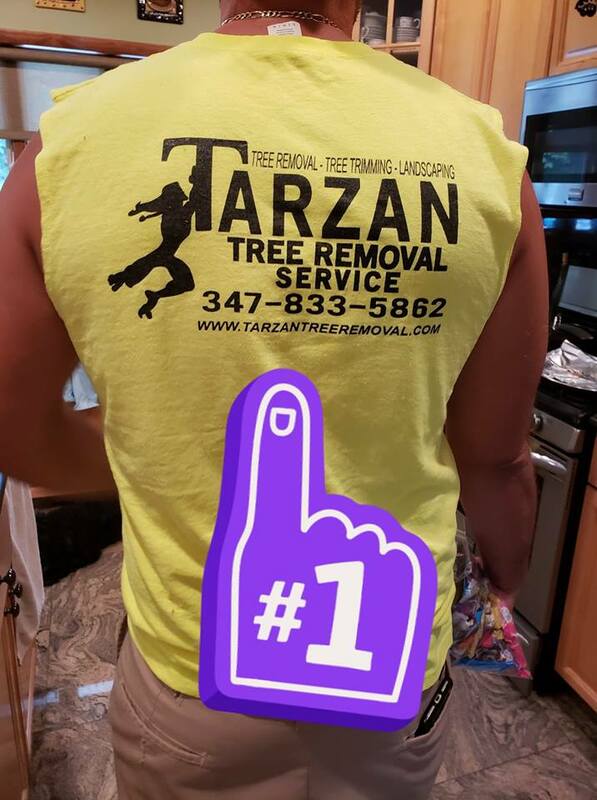 Whether it is removing dead trees for new construction or old plants, Tarzan Tree Removal has you covered. Yard cleanup can also consist of moving fruit trees from one part of the year to the other for next year. It can also involve removing leaves out of the gutter. Raking and getting rid of leaves and mulch. Pretty much all of the end of year seasonal Fall backyard mess that seems to form no matter how much you tidy up. 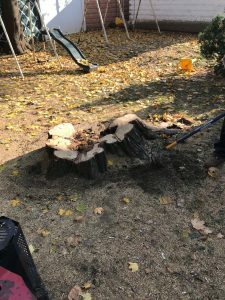 Although people tend to think that tree service gets slower as the cold weather approaches, that is not true. All year around Tarzan Tree Removal is very busy. Trees, no matter the season, are unpredictable plants. Uncontrollable factors can affect the health of a tree. 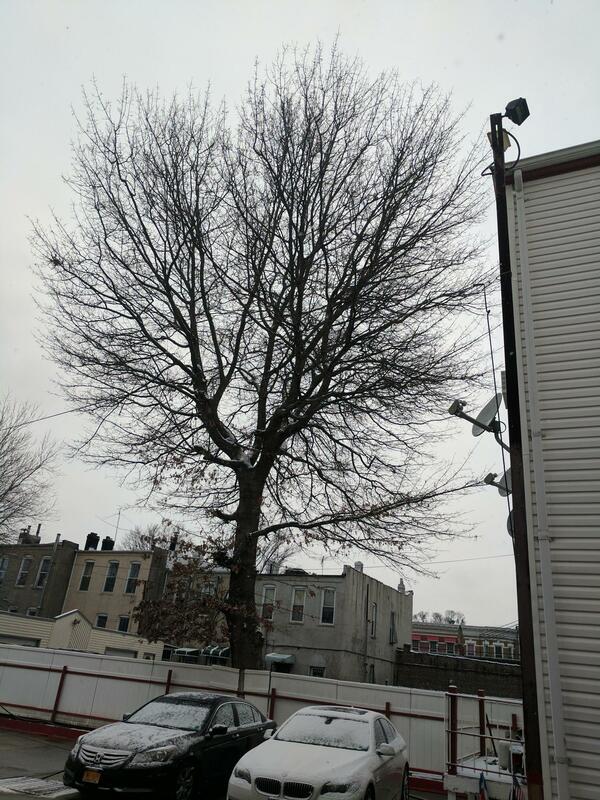 Sickly trees that are a few stories high and in close proximity to a home or building can cause grave damage. To property and anyone that is near. It is very important that before damage occurs customers call Tarzan Tree Removal to asses the situation. 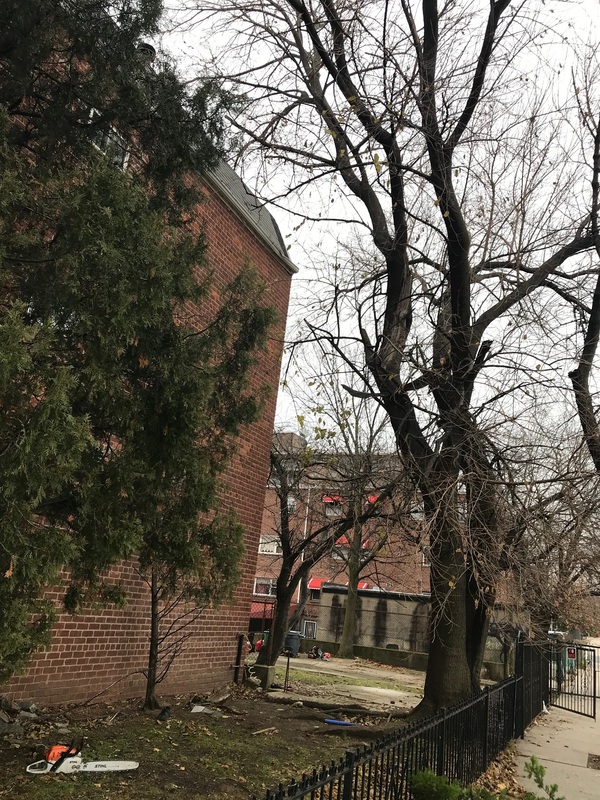 For more information on Brooklyn Yard Cleanup Specials call 347-833-5862 today! A member from our team would be happy to visit your property and give an estimate.